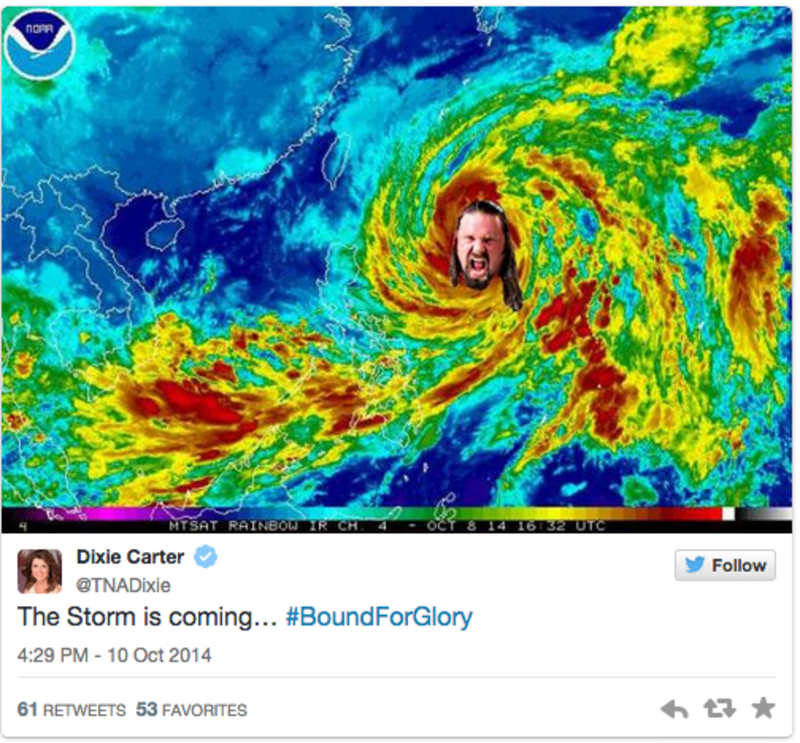 Dixie Carter is getting some heat for a graphic she posted Friday on social media to promote Sunday&apos;s Bound for Glory pay-per-view in Tokyo, Japan. The image is a doppler radar map showing James Storm at the eye of the storm. 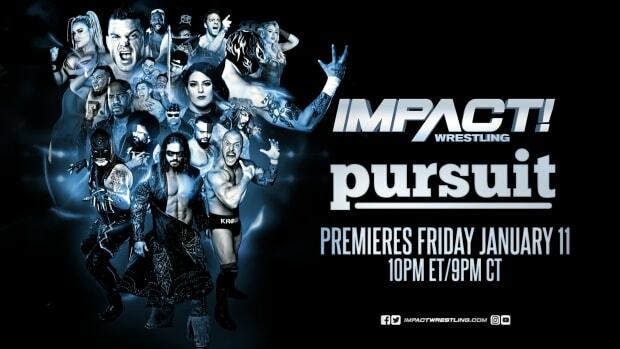 Accompanying the graphic is the text that, "The Storm is coming… #BoundForGlory"
The TNA roster is in Japan for the pay-per-view.